Western media are damn right! What Russia really needs is a swift of Power and opposition leaders to take office! Well, this was before the internationnly acclaimed Other Russia party unveiled its political program for Russia. And the first step of its government would be to… build a new capital city in Siberia! What about unemployment and social issues? A few months ago, Other Russia, which was then only a conglomerate of opposition parties and not yet an unified platform, gained enormous international credit for demonstrating in Moscow against Putin/Medvedev “authoritarian regim”. Former chess master Kasparov was among the leaders which brought international attention to the movement. So, everybody was impatient to discover the party’s program. What do they have in store for Russians? So far, nothing able to improve citizen’s daily life and stenhten global national economy. 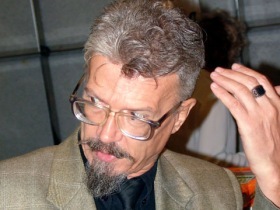 Led by controversial writer and activist Eduard Limonov, the party held its founding congress in Moscow on July 10. The party says its plan would counter Russia’s tilt towards the West – as well as boost Siberia’s ailing infrastructure. The program, published in the government daily Rossiiskaya Gazeta, also includes plans to eliminate red tape from Russia’s bloated government apparatus, and calls for wholesale reforms in areas as diverse as agriculture, housing, the army and the mass media. Limonov, who once served time for plotting to raise an army to invade Kazakhstan, outlined “The Other Russia” he would like to see in a book of the same title published in 2008.